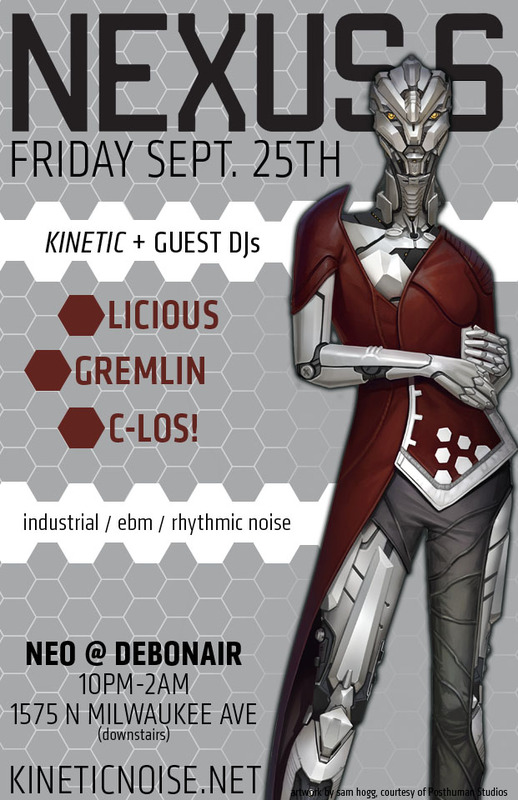 Nexus 6 @ DeboNeo – Friday Sept 25th – Guest DJ C-Los! Nexus 6 continues with its downstairs-@-DeboNeo incarnation! This week Sprite is on a mission to the off-world colonies so Gremlin and Licious will be joined by guest DJ C-los! Together they’ll be bringing you the best in modern industrial dance tracks for Neo’s longest-running special Friday event. ~ by infomorph on September 21, 2015.